As many people will know, I am a Radio Amateur (and for any of you interested my call sign is M3SUJ). Today I purchased a Icom ID-E880 from Lam Communications in Barnsley. This is the first D-Star radio that I have, and now I am also wanting to buy a hand held d-star radio. (Father has also had thoughts about running a d-star repeater). 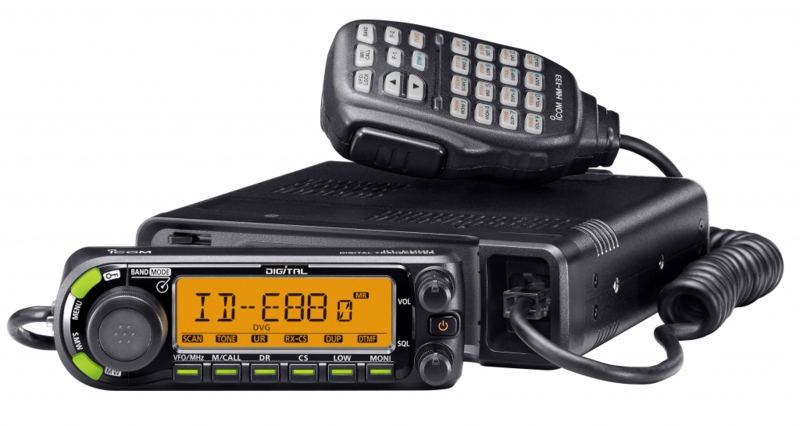 Anybody who has bought a d-star radio will tell you that is a steep learning curve, as the way that would operate the radio and make contact is different. As a note for any one looking to buy a d-star radio, you need to be registered on the d-star network to be able to use all the functions of d-star. You can do this online via your local d-star repeater (or if they don’t have a registration link south Yorkshire repeater group have one here.) This will register your call sign on the d-star network so that you can use it via any repeater (not just the one you registered on), however requests are usually manually processed and may take some time to become active. As yet, I’ve not had much time to play around with the system however, I have heard a few people contacting each other and the sound quality is excellent, however I have also heard some stations with scrambled audio (as you would find on Freeview etc when there is a bad signal or interference). Has any one else purchased a D-Star Capable radio or is looking to purchase one? I’d like to know your thoughts on it all.